Could there ever be one Apple device that could take the place of an iPhone, iPad, and Mac? Allow me to indulge my imagination for just a moment. Over the past few months there’s been plenty of discussion about the future of the macOS and iOS platforms. About the possibility that they might come to share more hardware than they already do. About the potential for a unified application architecture between the two platforms. But device proliferation is at an all-time high: I’ve got devices that range in size from an Apple Watch all the way up to a 5K iMac. There’s a place and purpose for each and every one of these devices; they serve distinct and specific niches in my work and play. I’d be hard-pressed to part with any of them. Still, part of me yearns for the simplicity of accomplishing all the same tasks, but with fewer things. Maybe one device could take the place of multiple devices? Blasphemy, perhaps, especially when Apple makes so much of its money on hardware. But there’s precedent for both the technology industry and Apple creating one device that can operate in more than one context. What got me thinking along these lines was the addition of a Nintendo Switch to my household. It’s a truly impressive little device—the kind of thing that, as a kid growing up in the 1980s, I probably would have daydreamed about: Imagine if you had a video game console that you could play on the big screen in the comfort of your own home, but that you could take with you when you left. Eat your heart out, Game Boy. 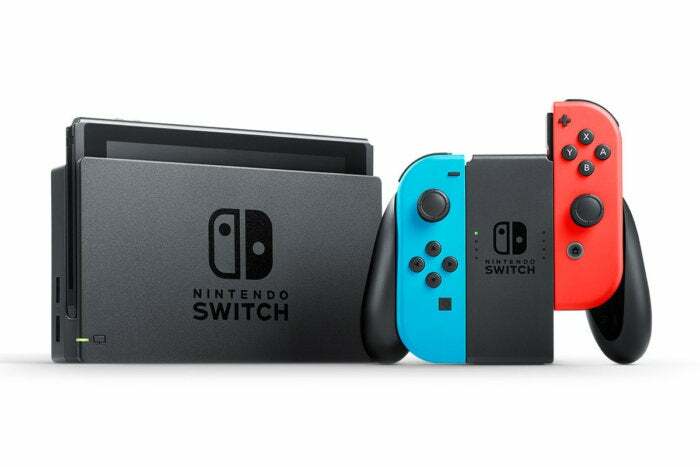 No, the Switch isn’t the most powerful console around. It won’t, in terms of sheer hardware, compete head on with the likes of a PlayStation 4 Pro or an Xbox One X. But the very nature of that compromise opens up a feature that neither of those more powerful consoles could possibly accomplish: giving you the same gaming experience, no matter where you go. I’d argue that for many that’s an even more powerful feature than all the polygons and pixels a console can push. Just like the original compromises of the smartphone could be overlooked because of all the power that it put into the palm of your hand. Of course, Apple has tried something similar int he past. 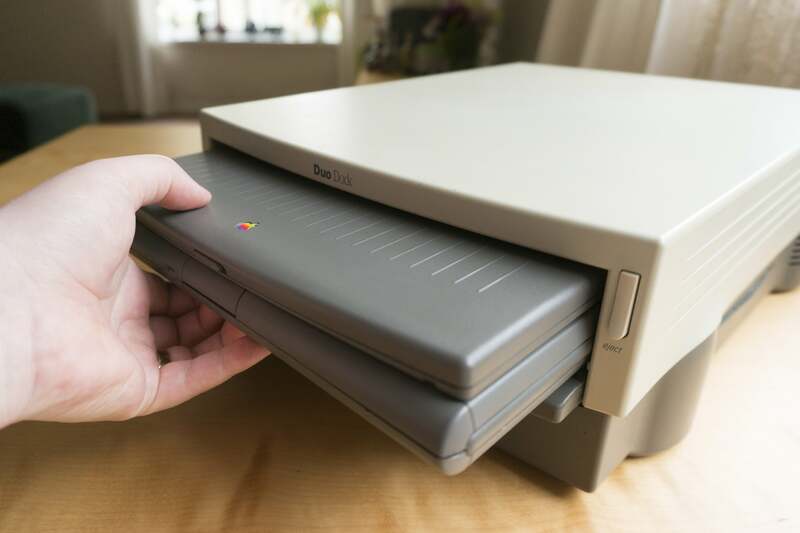 Cast your mind back to the heady days of 1992 and recall the PowerBook Duo. This light, ultraportable Apple laptop was a precursor to the netbooks of the early 2000s: a small, portable computer that skimped on certain functionality—smaller keyboards, fewer ports, less powerful hardware—but in turn provided the ability to turn into a desktop computer with the aid of a docking station. Though Apple moved away from that dual-mode operation of the Duo, the idea of docking is still with us today. There are plenty of third-party docking solutions that let you take your laptop wherever you go and then turn it into a desktop at your home base, though perhaps none are designed in quite the same appealing manner as the Duo itself. The ultimate popularity of laptops has also made all of us more accustomed to working on those size devices, so there’s been less of a call for many people to switch back and forth between desktop and notebook contexts. In some ways laptops have themselves become the desktop—a bigger, heavier device that offers more power but is more cumbersome—while its place of portability has been usurped by other classes of devices: tablets and smartphones. Which is why a part of me loves the idea of a Nintendo-Switch-like device that I can carry in my pocket, then set down in a cradle at my desk, where I’ve got a full-size screen, keyboard, and trackpad, and transform it into a desktop. I know: the idea of a single device that can fill the role of a pocket-sized computer and a desktop-sized computer might seem a bit crazy. I’m not suggesting that such a device would offer desktop-caliber performance—it certainly wouldn’t compete with the iMac Pro. But a desktop doesn’t have to be equated with power; in this case, it’s about the context of a larger screen and different input methods. And it’s worth considering a few things here: first, the A-series processors inside Apple’s iOS devices have gotten considerably more powerful in the past few years, to the point where they are not infrequently compared with Macs. For another thing, Apple has tried for a while to unify the experience of using multiple devices: syncing settings and data from a variety apps, letting you get your iMessages on your Mac, even using Handoff to simplify moving from one device to another. But many of those technologies have proved tricky and occasionally unreliable. 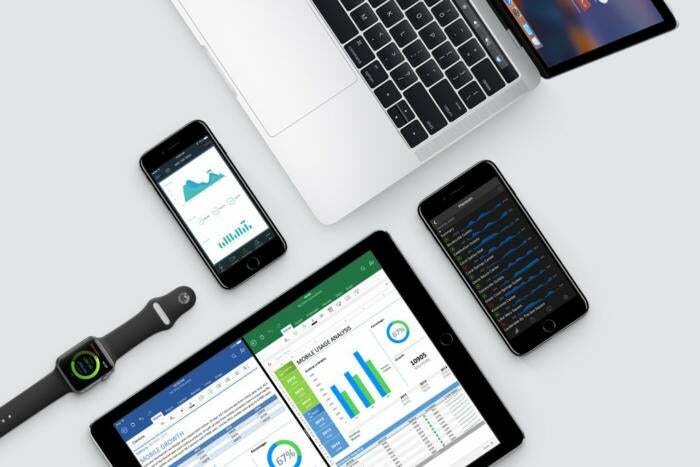 The idea of having all your data on every device is a good one, and something to shoot for, but having one device with all your data certainly simplifies matters. As I said upfront, I don’t necessarily expect Apple in particular to be gung-ho about a device of this kind. But there’s an idea floating around here that I think Apple is already shooting for with those aforementioned technologies: moving to a more unified experience between all of our devices. Even if it’s not quite in the form I’m hoping for.